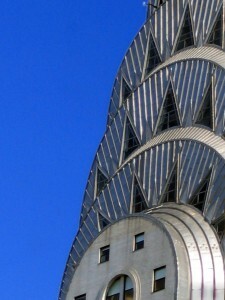 Good morning, and welcome to Daily View on the day which sees New York’s Chrysler Building celebrate its 80th birthday. Completed in 1930, it was the tallest building in the world for all of 11 months, before being replaced by the Empire State Building. After 9/11, it is once again the second tallest building in New York. Also celebrating birthdays today are the chef Jamie Oliver (who is currently applying for planning permission to build a restaurant in Nottingham I will probably never be able to afford to eat in); West Wing actor Richard Schiff and the Lib Dem MP for Westmorland and Lonsdale Tim Farron. Some have speculated he might be in the running to replace Vince Cable as Deputy Leader of the Liberal Democrats; he tweeted last night that as Vince Cable’s PPS, he got to hear the “Stalin to Mr Bean” gag in rehearsal. Tim is 40 today. So says the Guardian headline, anyway, but the article is light on detail if heavy on mood music. A lot of people will be watching anxiously for the detail. Duncan Smith says he is to propose to the Treasury a radical scheme that includes simplification of the complex benefits system designed to make it financially worthwhile for unemployed people to work, including in part-time jobs. Will you be queuing to spend 499 of your Earth pounds on an Apple iPad on Friday? The Independent has worrying news about the conditions under which the shiniest new gadget is being made. The American electronics giant Apple was investigating damaging allegations last night that Chinese workers making its new iPad device were subjected to such “inhumane” treatment that some of them took their own lives by jumping off factory roofs. Blogger James has a clip from the BBC Parliament service which has David Laws answering an urgent question, and swatting away Labour attempts at attack with all the ease of someone who had been doing this for decades rather than days. This entry was posted in First appeared on LDV and tagged www.libdemvoice.org.